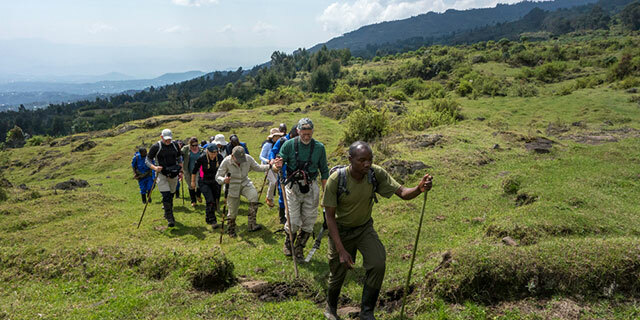 A certain level of physical fitness is required and trekking typically involves steep terrain along uneven, muddy trails, with thick undergrowth. 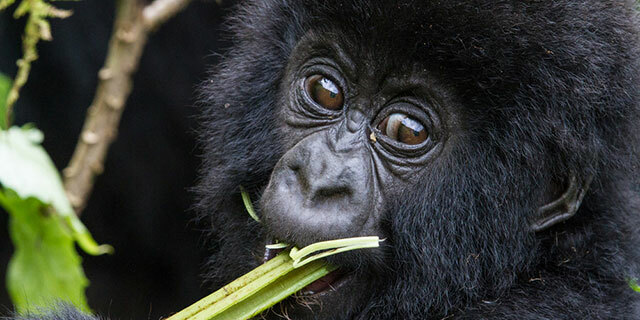 Altitude can be a factor with mountain gorillas (8,000'-14,000') whereas biting insects are often associated with lowland gorillas. Gorillas can be viewed by humans for a maximum of one hour every day. 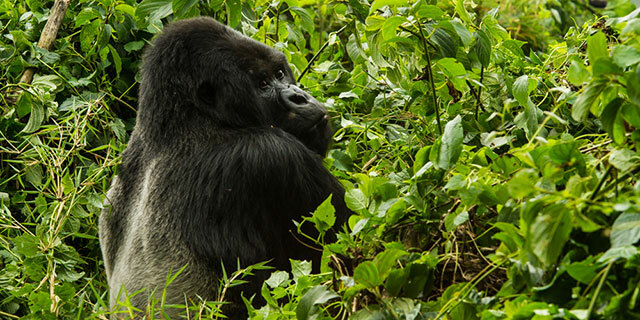 Maximum number of guests per gorilla tracking excursion is 8. No food or drinks can be consumed close to the gorillas. When with the gorillas, please keep your voice low. Do not make rapid movements that may alarm them. Should you need to cough or sneeze, cover your mouth and turn away from the gorillas. To minimize possible transmission of human diseases, visitors are asked to maintain a distance of 7 meters (22 feet) from the gorillas. 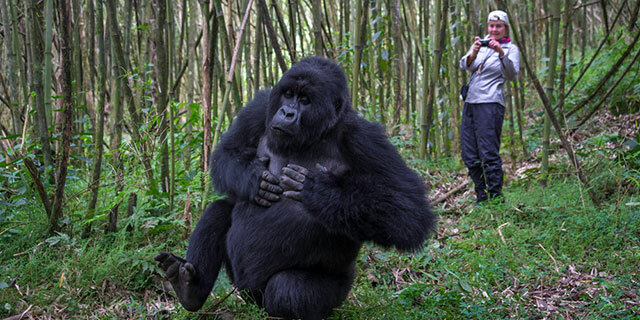 Guests that display cold, flu or other respiratory tract symptoms will not be allowed to track gorillas.